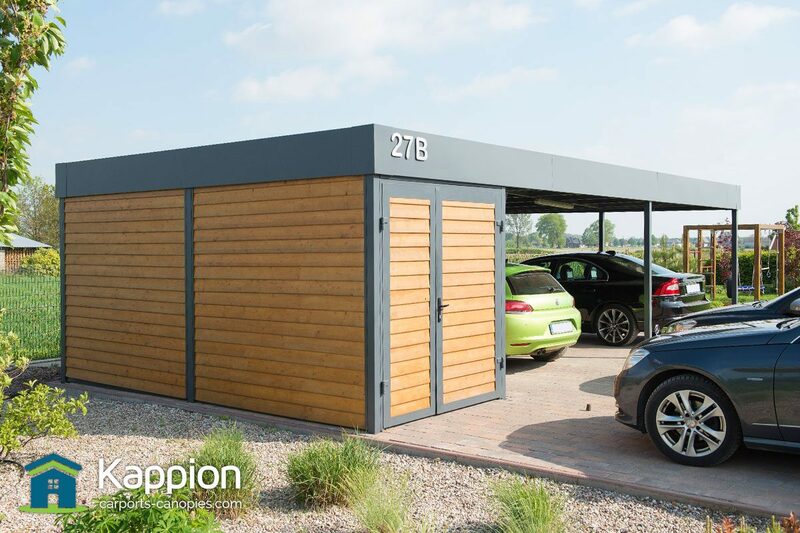 The Ultimate and ONLY UK Europort carport there is. Built to last! Fully guaranteed. Any size. Any Colour. Made to measure. 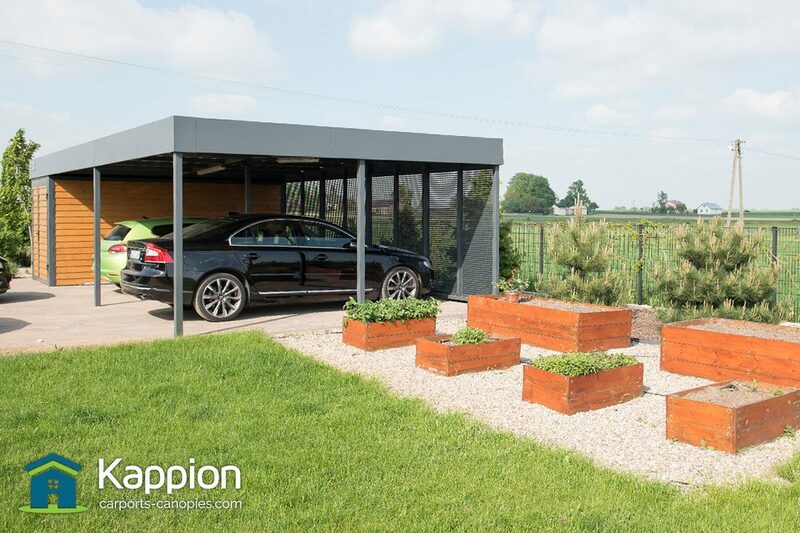 Made from steel with oodles of bespoke infill options such as glass, timber, slated powder coated aluminium, wavey steel sheet…. you name it. 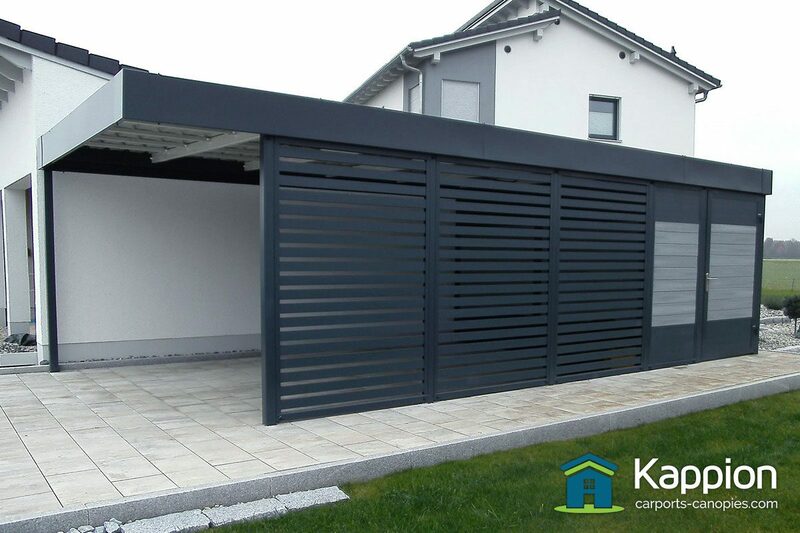 They can be designed and specified with storage rooms with sliding doors. 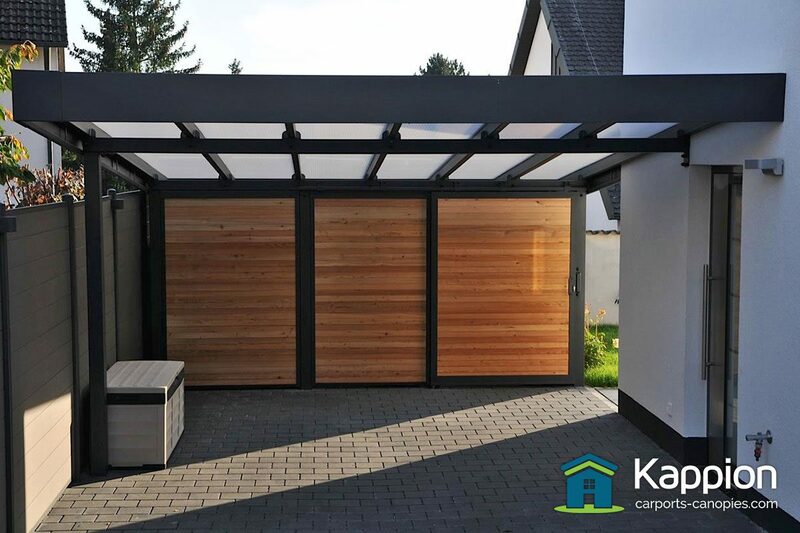 The roof can be glazed with glass, polycarbonate or trapezoidal sheet. We can even do funky stuff like hide the downspouts in the posts. 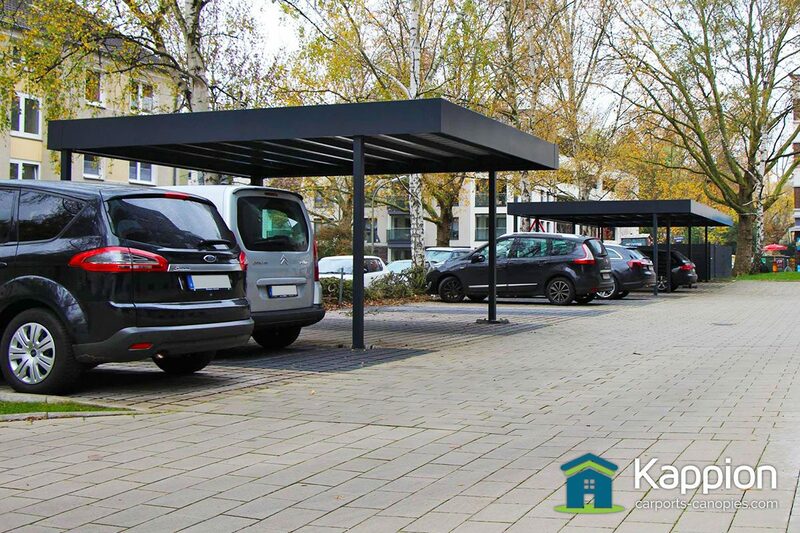 These carports really do look the business! 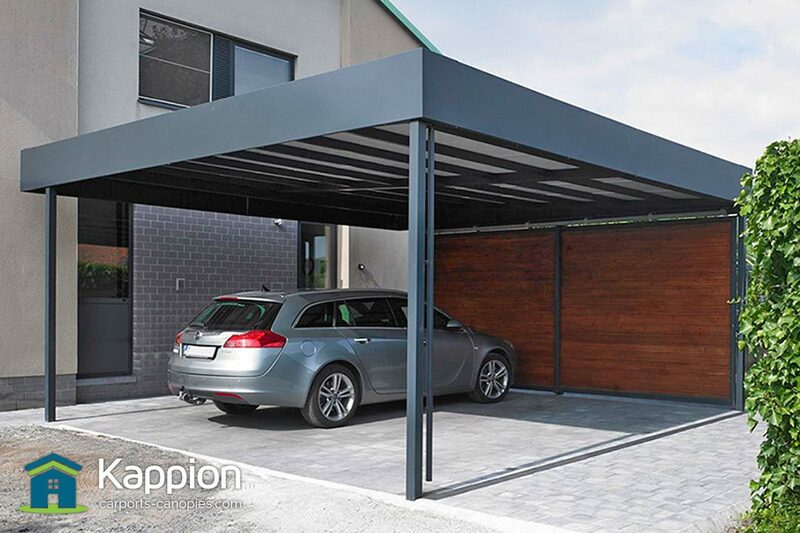 Our Europort carport structures are hot dip galvanised for complete rust protection and then powder coated to your chosen RAL colour. This gives you a long-lasting finish. 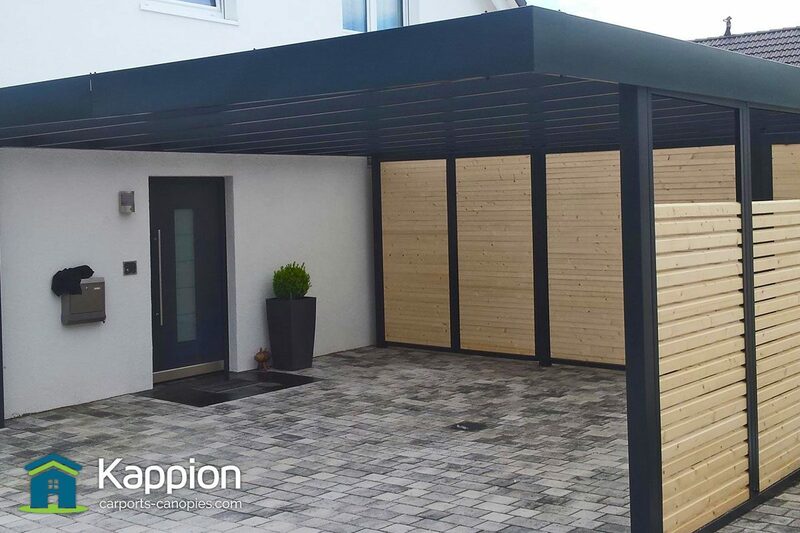 When you commission a Europort carport installation with Kappion you can be reassured that it will be custom designed and structurally engineered to work with your geographic location. It will be designed to withstand the snow loads and wind speeds for your area. 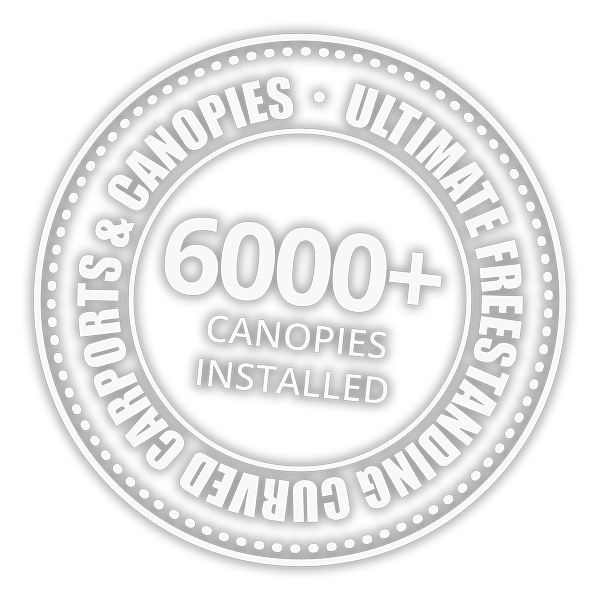 The carports we install are made from steel for the ultimate strength and resilience. They are hot dip galvanised for complete rust protection. Once galvanised the canopy will be powder coated to your chosen RAL colour. 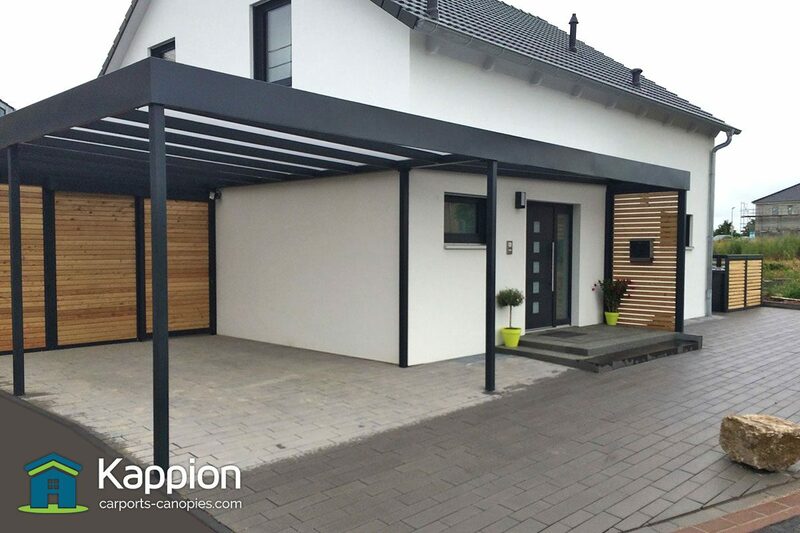 Guttering and downpipes will be designed to meet your exact requirements, which will allow water to be directed to the nearest surface drain, keeping the carport area dry. Bespoke, design and professional comes as standard!!! Interested? Call us on 01543 543 046 to discuss your style and options.